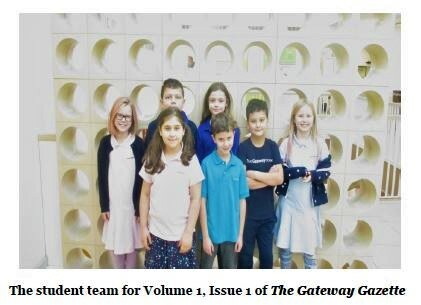 Check out Gateway School’s new student-run newspaper: The Gateway Gazette! Led under the supervision of Ms. Lincoln and Ms. Smith, The Gateway Gazette student team published its first issue this month. Be sure to check it out for updates on school events, sports, classes, and field trips. The newspaper even includes interviews with Gateway teachers and fun, student-drawn comic strips! Well done, Gateway Gazette team!